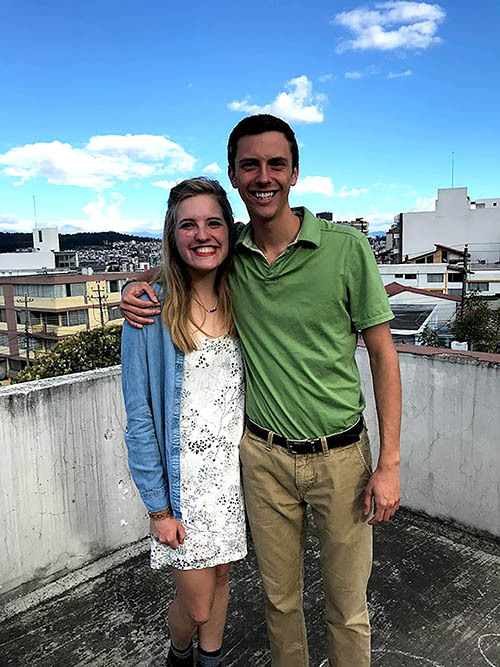 Tara McCloskey, senior journalism major from Big Cabin, Oklahoma, and Johnny Cummings, junior public relations major from Branson, Missouri, studied abroad in Quito, Ecuador, during the fall 2018 semester. 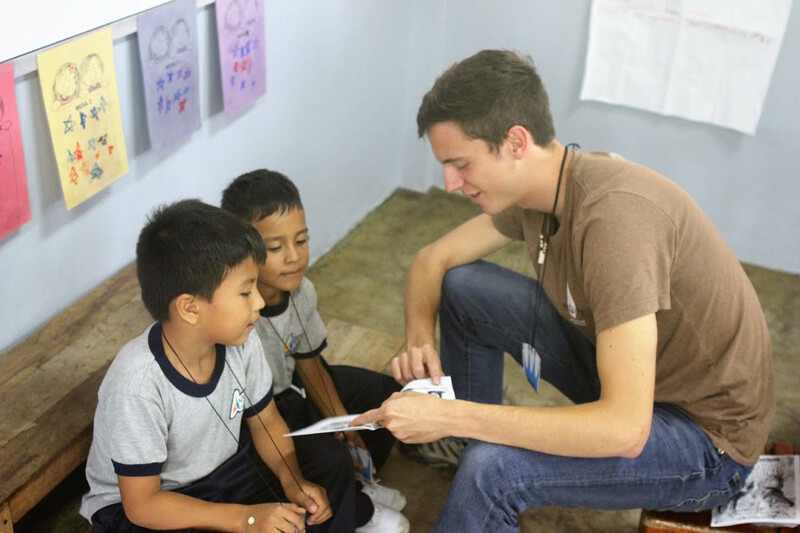 Johnny Cummings, junior public relations major, reads to students in the Amazon Jungle town of Misahaulli, Ecuador. During semester abroad, the students spent five days in the Amazon Jungle to directly incorporate concepts learned in their community development course. During the four months, Tara McCloskey, C of O senior journalism major, and Johnny Cummings, C of O junior public relations major, participated in unique opportunities such as trips to the Galápagos Islands and Perú; climbing Pichincha, a 15,000-foot volcano; zip lining through the cloud forest; and visiting the Amazon Jungle town of Misahualli. POINT LOOKOUT, MO. — Two College of the Ozarks students studied abroad in Quito, Ecuador, during the fall 2018 semester. Tara McCloskey, senior journalism major from Big Cabin, Oklahoma, and Johnny Cummings, junior public relations major from Branson, Missouri, were selected by the College to participate in the semester abroad program after an application process taking place during the 2018 spring semester. McCloskey and Cummings were two of 34 North American students studying with Living and Learning International (LLI), located in Quito, Ecuador. This study abroad opportunity directly incorporates the academic, Christian, and cultural goals of the College. Throughout the last three years, the College has partnered with LLI to provide missional experiences in Ecuador for C of O students. This semester abroad is part of the ongoing partnership between the College, LLI, and Jungle Kids for Christ (JKC), located in Misahualli, Ecuador. 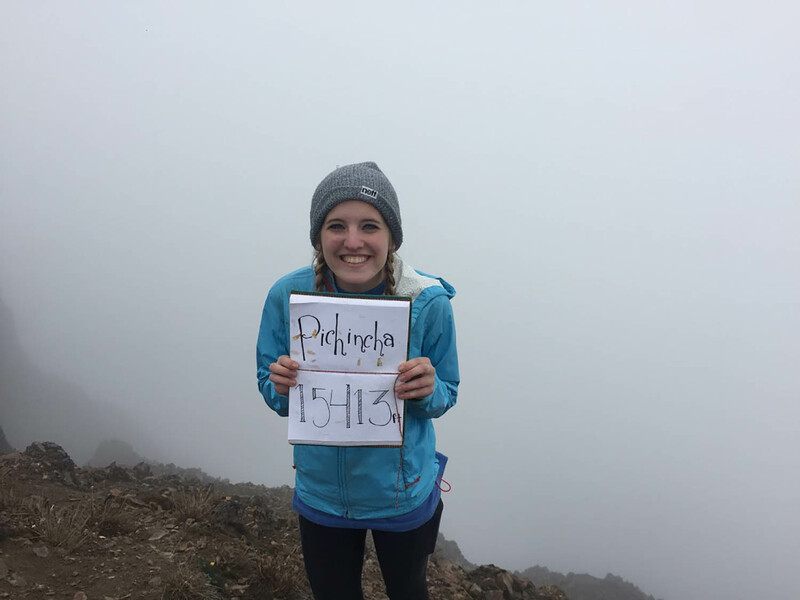 The semester started with a five-day backpacking trip through the Andes Mountains and ended with trips to the Galápagos Islands and Perú, where the students visited Machu Picchu, a 15th century Inca citadel. During the semester abroad, the students maintained full-time status as they were enrolled in classes such as language and culture courses. Additionally, both students completed an internship with local Ecuadorean businesses during their time in the country. The internships were coordinated by LLI as part of the semester abroad experience. McCloskey interned with the World Vision national office, training in the media department. Cummings interned with Hand Eyes, a startup company that creates technology for people who are blind. During the semester, every student in the program lived with an Ecuadorian host family for one month, allowing them to experience the culture in a more personalized fashion and improve their language skills. LLI selected all the families. During the four months, McCloskey and Cummings also participated in unique opportunities such as climbing Pichincha, a 15,000-foot volcano; zip lining through the cloud forest; and visiting the Amazon Jungle town of Misahualli.